2009-10 Panini #307 Stephen Curry Rookie Card Graded BCCG 10 . 2009 Panini Prestige Stephen Curry ROOKIE RC #207 BGS 9.5 GEM MINT (PWCC). Shipped with USPS First Class Package. THE LETTERS IN THE "()" ARE INITIALS FOR ORGANIZATIONAL PURPOSES. Stephen Curry. 2009-10 Panini #307. Autographed,Rookie card of. 2009 Panini #307 Stephen Curry RC. 2009 Panini Prestige #207 Stephen Curry RC. 2009 Panini R & S Studio Combo Gold #9 Tyreke Evans Stephen Curry 219/500. 2009-10 Stephen Curry Studio Rookie RC. BGS 9 MINT. Silver Proof Version - Only 99 Made. 2009-10 Panini #372 Stephen Curry Warriors RC Rookie. Condition is Like New. Shipped with USPS First Class Package. Baseball RC Lots. Football Boxes & Cases. Football Sets. Football Single Cards. Baseball Boxes & Cases. Baseball Sets. Baseball Single Cards. Hockey Card Lots. You are bidding on the card listed in the title. Please see the scanned photos for card condition. All cards are pulled from packs and placed in top loaders or magnetic one-touch cases. If the item pictured is not the same as the title for the auction please contact me before bidding. I do offer combined shipping and handling within the USA for multiple items as follows: $2.85 for 1st card and $0.50 for each card after that up to a max shipping of $6.00. Please pay within 5 days of the end of the auction. All international shipping will only be available through the Ebay Global Shipping program which can be ridiculously expensive so please check that before bidding. Thanks for bidding and good luck!!! 2009-10 Stephen Curry Upper Deck Star Rookie RC. BGS 9.5 GEM MINT. 2016-17 Stephen Curry Panini Spectra Catalyst Green Pulsar PATCH (1/5) RARE SP!! The card's condition is as scanned using 200 DPI and should be clear enough! There is no editing or any sort of distortion in the pictures above and this clearly will be the actual object your getting. This is a Facsimile Reprint Autograph. 2009-2010 Panini #357 Stephen Curry RC Rookie Card Graded BGS 9.5 GEM MINT. Condition is Like New. Shipped with USPS First Class Package. Buy this now before prices go up with the Warriors winning another NBA championship! 2009-10 Stephen Curry Panini Prestige Rookie RC. BGS 9.5 GEM MINT. 2009-10 Stephen Curry Panini Rookie RC. BGS 9 MINT. Centering 10, Edges 9, Corners 8.5, Surface 9.5. 2009-10 PANINI #307 STEPHEN CURRY ROOKIE RC MINT! WARRIORS MVP. Condition is Brand New. Shipped with USPS First Class Package. 2009-10 Panini Certified Potential Jersey Stephen Curry #27 RC /599 Rookie Jsy!! Very Nice Card Stephen Curry 2009-10 Panini Certified Potential Rookie Jersey Card numbered to 599. STEPHEN CURRY 2009-10 ADRENALYN XL "ROOKIE CARD" PSA MINT 9...SWEET SLAB TOO!!! # of cards Weight Range Price USD. Hearing from you is important in allowing us to better serve you. New updated rates as of June 24, 2018. 2009-10 Stephen Curry Rookie 303/500 Panini Certified Certified Potential #27 BCCG 9. HOT! 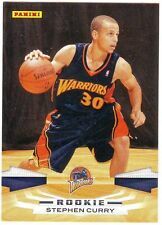 STEPHEN CURRY ROOKIE! 2010 PANINI CLASSICS #27 MVP WARRIORS NBA RC FRESH!! 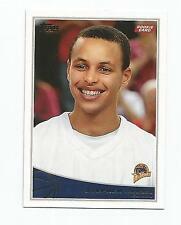 STEPHEN CURRY ROOKIE CARD! STEPHEN CURRY, GUARD FOR THE. HOT STEPHEN CURRY CARD!! WHO WON TWO CONSECUTIVE MVP. GOLDEN STATE WARRIORS. 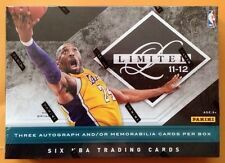 2010 PANINI CLASSICS BASKETBALL CARD #27. Pinnacle, Donruss, Panini, Score, Upper Deck. Stephen Curry “Panini Rookie Card 08-09” Shipped with USPS First Class Package. This card has been well taken care of. Please look carefully at the pictures and you will see that there is no damage to this product. There is a no return policy. Please note that if this card is bought out of the United States i will have to charge more for postage. LUKE WALTON. STEPHEN CURRY. sure to increase in value as STEPHEN CURRY IS THE MVP AND AN NBA SUPERSTAR. 4th card is a A 2003-04 BOWMAN ROOKIE CARD (#132). 1st card is. 2nd card is a. 3rd card is a A2009-10 PANINI. The card is shown in the scan. The back of the card is shown in the second scan. Five cards are shown in the second scan, but only the one card described in the title and shown in the first scan is included. 2009-10 Stephen Curry Panini Prestige Rookie RC. BGS 9.5 GEM MINT. Centering 10, Edges 9.5, Corners 9, Surface 9.5. STEPHEN CURRY. sure to increase in value as STEPHEN CURRY IS THE MVP AND AN NBA SUPERSTAR. 2015 PANINI. THIS CARD IS NUMBERED 3 OUT OF ONLY 100 MADE. THATS RIGHT ONLY 99 OTHER PEOPLE CAN OWN A CARD LIKE THIS ONE. RODIONS KURUCS - 2018-19 Optic Signature Series Holo AUTO. STEPHEN CURRY. 2009-10 PANINICROWN ROYALE ROOKIE ROYALTY ROOKIE CARD. sure to increase in value as STEPHEN CURRY IS THE MVP AND AN NBA SUPERSTAR. 2009-10 PANINICROWN ROYALE ROOKIE ROYALTY ROOKIE CARD (#1). x60 STEPHEN CURRY 2018-19 Revolution #8 lot/set Golden State Warriors Mint deal! 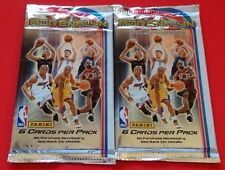 2x 2009-10 Panini Rookies Stars Pack (Stephen Curry DeMar DeRozan RC Auto)? 2x 2009-10 Panini Adrenalyn XL Pack (Stephen Curry Rookie RC BGS 9.5/Prestine)?